Movie Showtime from 19th April – 25th April, 2019. 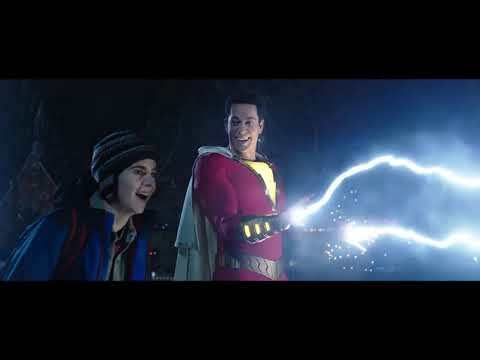 I can assure everyone Shazam will be an amazing movie. I know some of the actors including Zachary Levi, Asher Angel and Jack and have watched them grow, seen them go on a world tour and even watched their interviews. This Movie will be amazing. I sincerely hope that we would be getting this in 4DX. Looks like it could be a blast. Master Yoda, yes it will also be in 4DX at Galleria and Ikeja City Mall. Thank you. Master Yoda, you will definitely be informed if there will be Advance Screening for this movie. Thank you. Please kindly be informed that, Showtime for New & Old movies are updated every Friday. Kindly check our website on Friday morning. Thank you. The King, Shazam! is releasing tomorrow Friday 5th, at all Silverbird cinemas location. You can also see this movie in 4DX at Galleria & Ikeja City Mall. Thank you. Is it still the same price 2k? Ifeoluwa, kindly call the box office number of that location, to know more. Thank you. So no advance screening for Shazam? Not kool. I watched this movie today. It's ammmmmmazing. Very interesting. The environment effects from the movie was wow...vibrating skaking chairs, hall lightening and little water splash, wind /air blowing...wooow. just budget ur 4k to watch and enjoy. And yes kids from certain heights are allowed cos of the effects on the chairs, before the effects throws them off. Will the movie be shown on Monday 22nd April at Accra Mall?